The ancient Greek Mythology has two interesting versions regarding the birth of Mount Athos, both related to “Gigantomachia”, the battle among the Giants (Gigantes) and the Olympian gods. 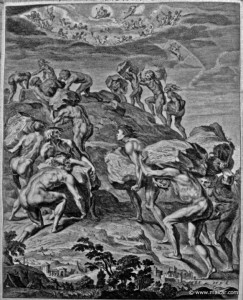 In the first version, Giant Athos threw a massive rock against Poseidon which fell in the Aegean and became the peak of the mountain. 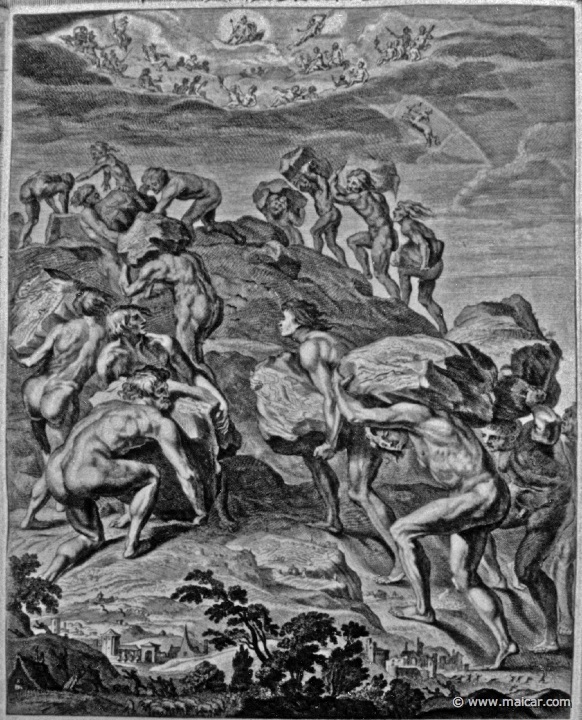 In the second version, Poseidon used the mountain to bury the defeated Giant. During antiquity, there are many references to Mount Athos in texts by Homer in the “Iliad”, Herodotus, the “Father of History”, Strabo, a Greek geographer, and many others. The peninsula was also on the invasion route of Xerxis I of Persia around 483bC, while after the death of Alexander the Great, the architect Deinocrates proposed to carve the entire mountain into a statue of Alexander. Yet the years of early Christianity were the ones that left a profound mark to Mount Athos history, transforming the mountain into a sacred place, a spiritual center, the major monastic community of Orthodox Christianity. According to the Athonite legend, when Virgin Mary and St John were on their way to meet Lazarus a storm forced them to put in at the site now occupied by Iviron Monastery. The Virgin liked the place very much and she asked Christ to make her a gift of the peninsula. A voice replied: “Let this place be your inheritance and your garden, a paradise and a haven of salvation for those seeking to be saved“. Since then, Mount Athos is also called “Virgin Mary’s Garden” and is out of bounds to women and children (the rule of “ABATON”). The exact time of the first ascetic monks that had moved to Athos is estimated around the 3rd and 4th century. Yet more accurate information is traced after the Islamic Conquest of Egypt (7th century) when many orthodox monks from the Egyptian desert tried to find another calm place; some of them came to the Athos peninsula. On his biography, Saint Athanasius the Athonite writes that the monks “…built huts of wood with roofs of straw (…) and by collecting fruit from the wild trees were providing themselves improvised meals…”. During the following centuries, the Athonite community passed through times of prosperity and turbulence. 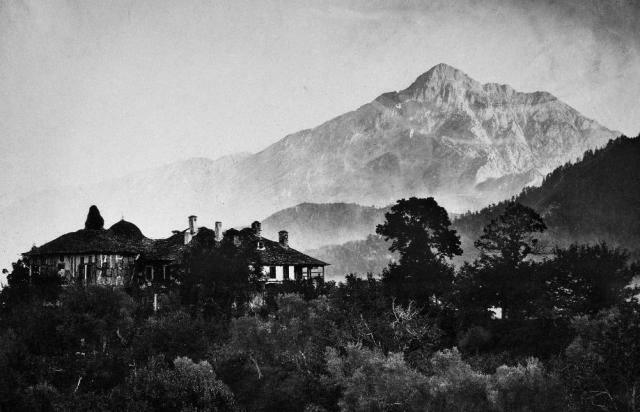 Since 1926 Mount Athos, also known as Holy Mountain, is an autonomous polity of the Greek State enjoying a self-administered system under Hellenic Constitutional Law. Today it is the home of 20 Monasteries, 12 Sketes (small communities) and 700 Cells, while the population rises to 1,000 monks. Entrance is permitted only with the issue of “diamonētērion”, a form of visa available upon application to the Pilgrims’ Bureau. Access is made by ferry. Since 1988, Mount Athos is an UNESCO World Heritage Site as it retains an outstanding universal value: an enormous wealth of historic, artistic and cultural elements preserved by a monastic community that has existed for the last twelve centuries and constitutes a living record of human activities. At the same time, it maintains a rich flora and fauna that has been well conserved by careful management of the forests and traditional agricultural practices. Thanks to its natural habitats and endemic birds, Mount Athos is also part of NATURA 2000 European Union Network. 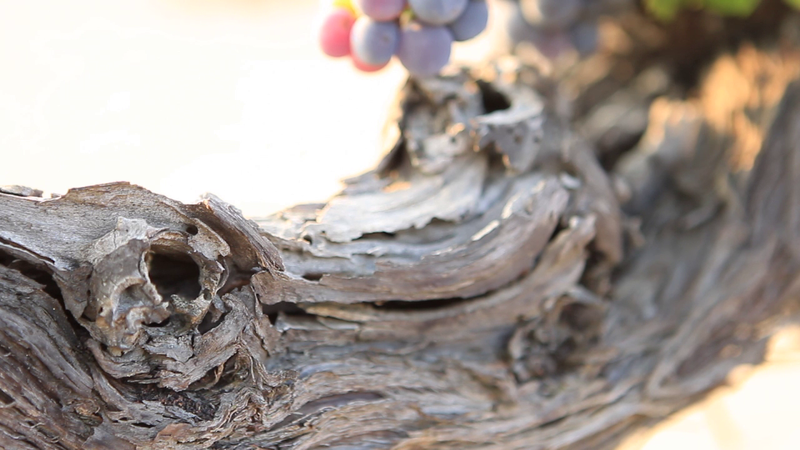 The roots of vine growing and winemaking in Mt Athos are dated back to antiquity as various texts describe. Focusing on the years of the monastic community, the existed to this date wineries in almost all monasteries bear witness to the fact; the wine production at each monastery was estimated between 8-10 tons annually. 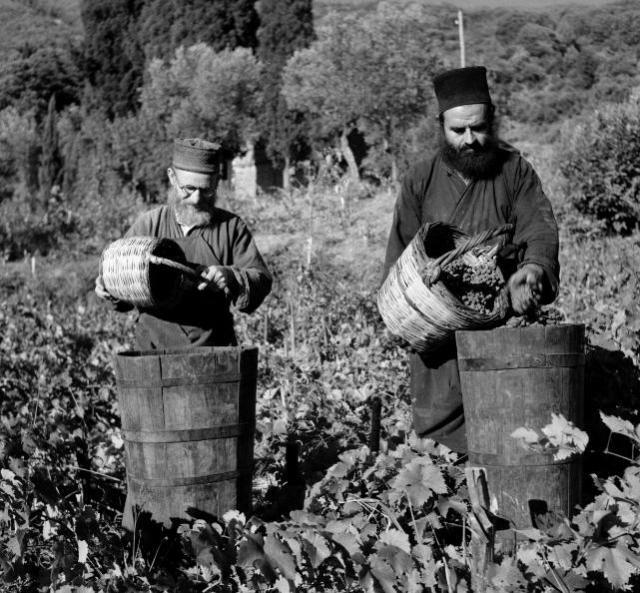 Moreover, Mount Athos had been a nursery for indigenous grapes; among the varieties planted were Limnio, Fokiano, Roditis, Muscat of Alexandria. Besides dry wines, sweet wines from sundried grapes and fortified wines (vin de liquer) were produced by the monks, catered for special occasions like major Orthodox celebrations. An extraordinary fact that highlights the importance of vine growing in Mount Athos is that “wine commerce” was a unit at the “Typikon of 972 AD” (tee-pee-koHn), the first charter governing the organization and the administration of the Athonite State. The document, also known as the “Tragos” or “billy goat” in allusion to the parchment on which it was written, at Rule 15 says, “since you clearly wanted instructions on what to do in this matter, by common consent we lay down this regulation concerning wine“. According to that mandate, selling wine outside Mount Athos was prohibited; yet if the “outsiders” had to offer goods that were in shortage on Mount Athos, the monks could give wine in exchange.